The Bayou Classic 14 Inch Cast Iron Skillet is the perfect sized skillet for a family of six. 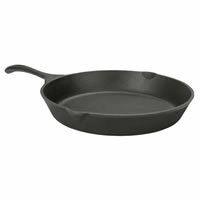 This cast iron skillet is great for searing and frying your favorite meats. 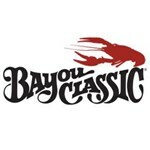 The Bayou Classic 14 Inch Cast Iron Skillet measures 14” D x 2 3/4” H. The Bayou Classic cast iron skillets do have an eye for hanging.